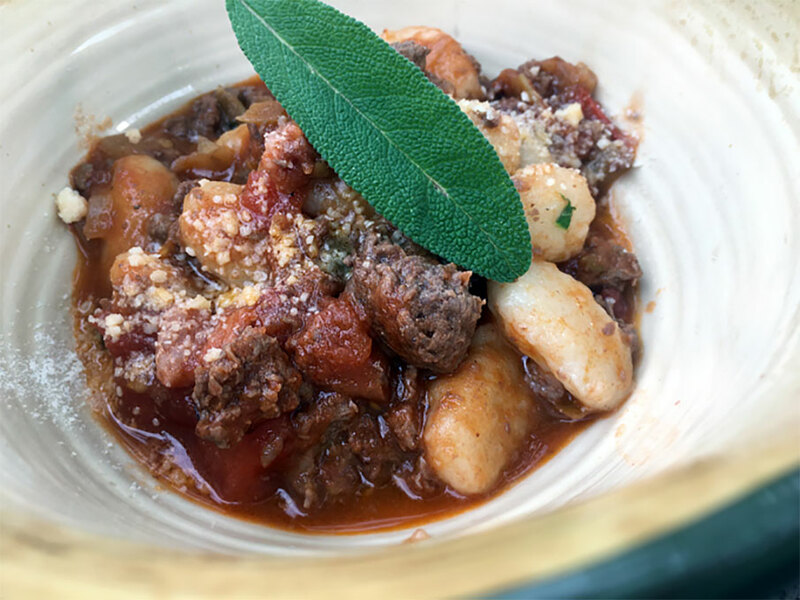 This antelope-meat sauce can be paired with gnocchi or your favorite pasta, and finished with a light dusting of grated parmesan cheese. You can substitute the ground antelope for ground venison, elk or turkey. Bring a pot of water to a boil. Score skin of the tomato a few times and carefully add whole tomatoes to boiling water until skin starts to peel. Roughly 1 to 2 minutes. Remove from water with a spoon and plunge tomatoes in a bowl full of ice water. Remove peel and squeeze out the seeds. Roughly chop the tomato flesh and set aside. Heat a large pan over medium heat and add 1 tablespoon of oil, chopped bacon, leeks and garlic and cook for 4 to 5 minutes. Add ground antelope and cook until browned or 5 to 7 minutes. Stir in the chopped tomatoes, tomato paste and red wine. Once the sauce starts to thicken add the chicken broth and season with sage, garlic powder, salt and oregano. 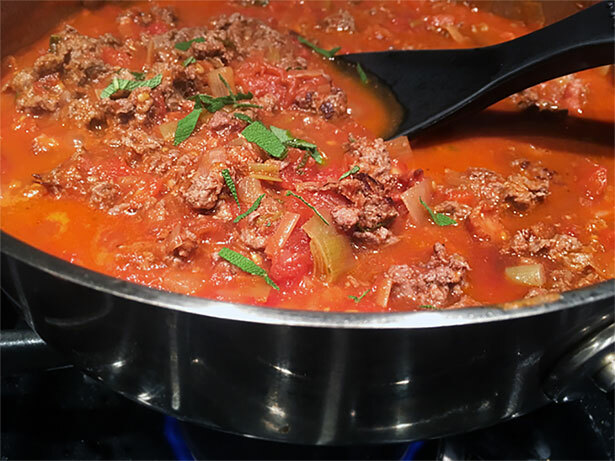 Reduce the heat to low and let simmer for 10 to 15 minutes. Add the butter to the sauce just before serving. You can serve this sauce over cooked gnocchi or your favorite pasta.